Brake caliper piston Push back tool. Helps prevent unsightly damage as well as actual damage to brake Calipers, pistons and Rubber seals. 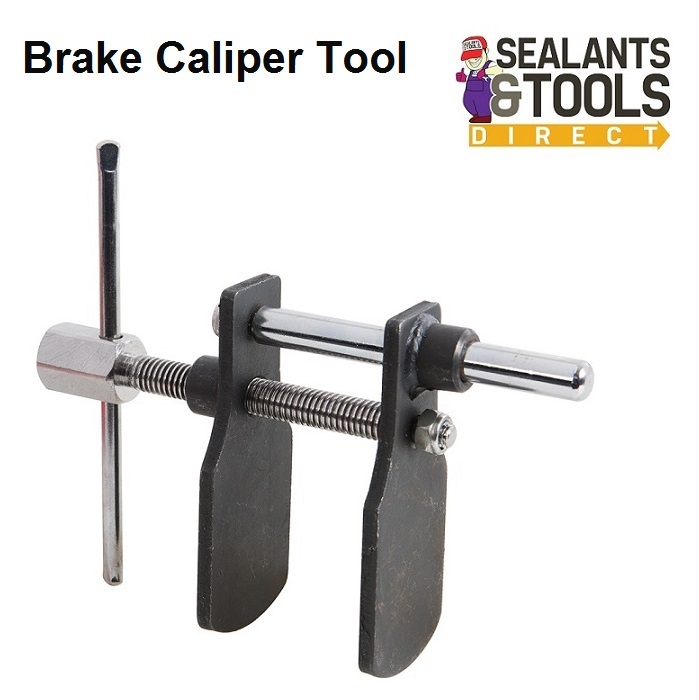 This is an essential tool for retracting brake piston to allow insertion of new brake pads. For use on opposed fixed and single-piston sliding calipers. Ensures parallel piston retraction, avoiding damage to piston seals. Also suitable for most ATE, Bendix, Delco and Girling calipers. Can be used with a 21mm spanner or 1/2" square drive ratchet or the Attached bar. Full range of vehicle related products.